Beyond the minimal specs and cramped keyboard it's not that there's much actually wrong with the Samsung NS310 and we do like the design, although it may not appeal to everyone. But to get the good looks and the slim style, Samsung has sacrificed battery life and the performance is average for the price. 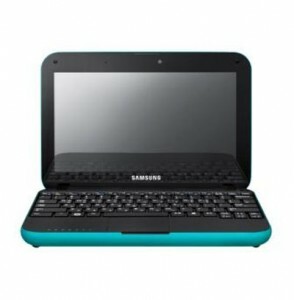 Cute, shiny, with an unusually good screen for a netbook, the Samsung NS310 doesn't make the right compromises for most users. Netbooks continue to be a useful solution; however this one nearly did not get reviewed. 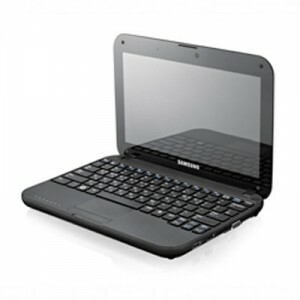 If you are in the market for a small Netbook mine had a rather nice wine red lid or course the screen surround was shiny black and the screen was reflective but as an entry level unit this could well be of interest. Our punishing flat-out processor test gave 2 hrs 18 mins of battery life, where the Toshiba NB550 offers 4 hrs 23 mins. Moderate use will take that beyond four and a half hours, still a poor second to that NB550. For light document editing, the Samsung NS310 is good enough, but its main problem is that it doesn’t excel in any department. Samsung's NS310 gets some things right. The keyboard is good and its backlight remains a rare feature in the netbook world. However, it fails in one too many core respects. Battery life is poor, the Atom-powered processor doesn't excel above much cheaper models and the price is just too high for us to stomach.